There's sawdust on the floor again and odd-shaped pieces of wood. 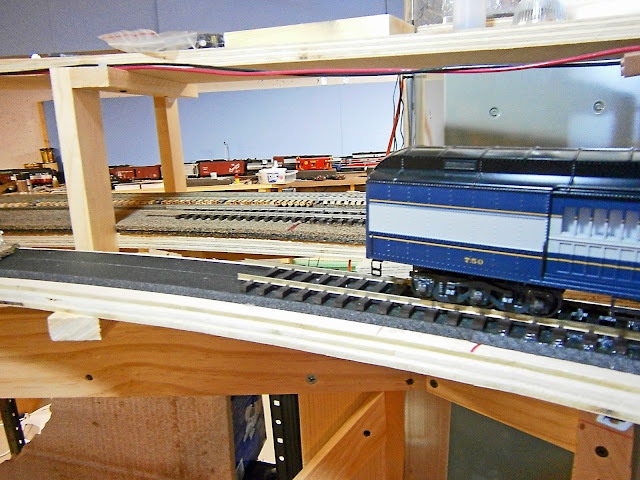 And that means that work on the layout has resumed! 2012 was not a good year for my layout. I did essentially nothing on the layout after my open house in April 2012. This was because I lost my job in March. I could not justify, in good conscience, spending money on the layout while I was on unemployment; especially given the poor job outlook. So, while I had the time I did not have the means. I also discovered that searching for a job is, essentially, a full time job. I spent 5-6 hours on most days doing my job search. 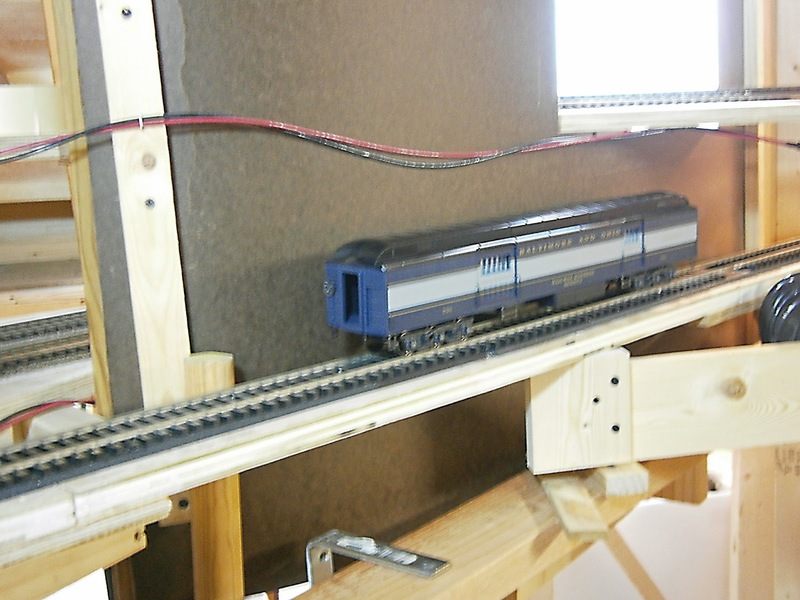 I did do some painting on the layout, built a few turnouts out of rail that I had on hand, assembled some kits. But no matter which project I started, I always ran short of something before it was completed and, because of my "no purchases" rule, things progressed slowly, if at all. However, I wasn't totally out of model railroading for most of the year. I wrote articles, several of which were accepted; and the first has been published in January of this year. I did 3D design; spending the money earned from the articles on test printing the models. I justified this by rationalizing that the models would make me money in the long run - I've yet to break even. And I did the Tsunami heat sinks - which will just reach break even when the next batch is sold. The moral of all of this is be kind to your garage manufacturer of model railroad items, he's probably doing this out of love rather than for profit. I'm glad to be working again! 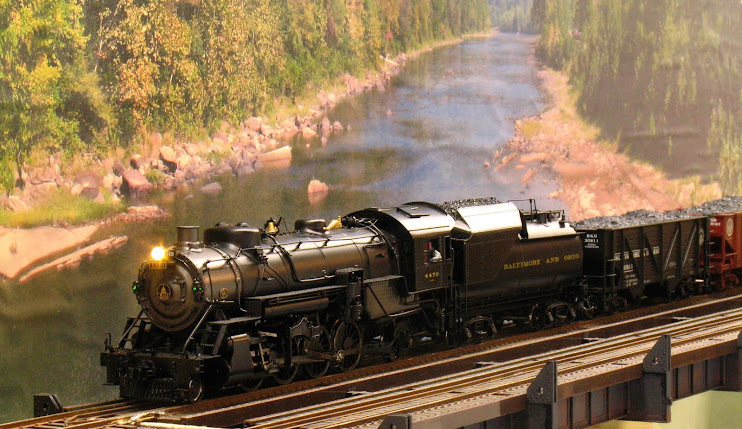 Last weekend was the Springfield model railroad show and I attended. But the previous two weekends were spent working on the railroad. This is a passenger car that I am using to test the clearances where the newly-added track into hidden staging runs behind and close to the backdrop for the Cheat River grade. The car is just about to pass under the lower level of the helix, immediately above. The tracks into and out of hidden staging are on such good-looking curves that it's a shame to cover them up and I am debating whether to let these approach tracks show by creating a small section of double deck layout. This next photo shows the car at the point of closest approach to the backdrop. The car has just passed under the helix, which is now above and to the right. The clearance here is not as tight as it looks from this shot. Finally, here's the current end-of-track. The passenger car is still on the track leading into hidden staging. Behind and beyond the car to the left, you can see the current end-of-track for the inner track of the two-track helix. 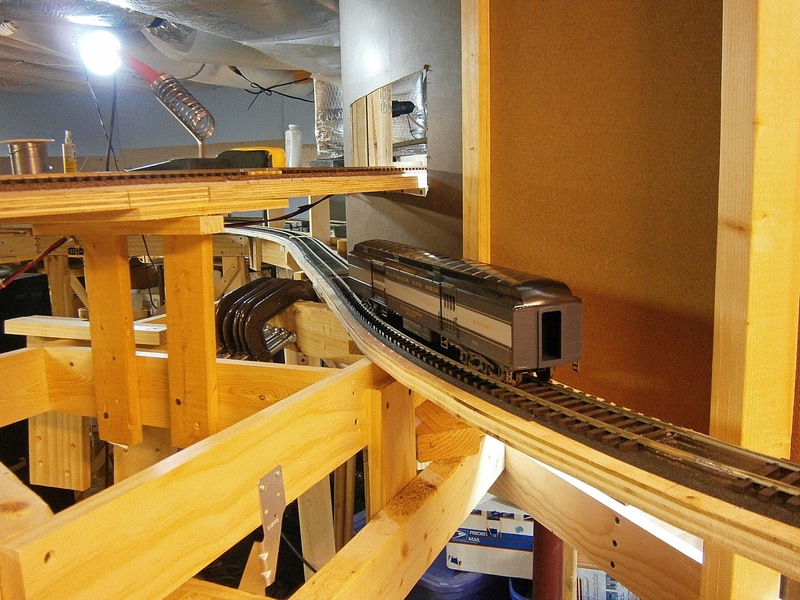 Both of these tracks will converge at a curved turnout, which is off-camera to the left, and merge into a single track which continues up the helix. Hopefully this coming weekend I can finish this bit of work and start on the exit track from hidden staging. It has some close vertical clearances, a tight reverse curve and a steep grade. That's the result of adding staging as an afterthought without prior planning.